Opel sign its comeback after its retirement from sports competition in the DTM in 2005. The mark will flash to its program on two fronts: the rally and endurance. The ADAM take part in the “ADAC Rallye Masters” (German league). They take part in the “ADAC Rallye Cup”, a specific collation for the Opel ADAM aligned in the race. Opel hopes that this sector to promote young talent and is committed until at least 2016. From this date, Opel wants to hire the best elements on the international stage at the wheel of the next Opel Corsa rally version. Opel will align of Astra OPC within the framework of VLN Championship (endurance championship). The championship is organized around the 24h Nurburgring, which take place on the legendary circuit of the Nordschleife. The cars will take part in the image of the sector rally, the “Astra OPC Cup”, a trophy integrated within the VLN. 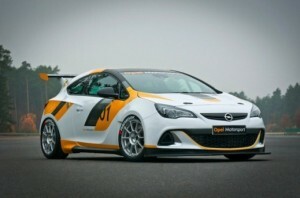 Opel will operate on the principle of competition client: cars will be entrusted to private teams. As such, the latter will benefit from spare parts at discounted as well as all the necessary technical support in the race and test-run.